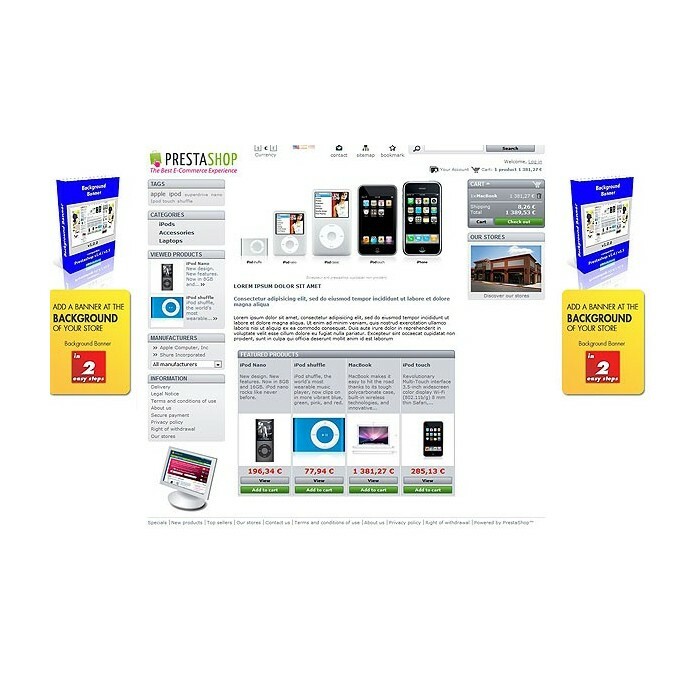 This module for PrestaShop allows you to add a static promotional image or banner in the background of your store, along with a link associated with it. Active: Allows to enable or disable the banner or promotional image. Banner image: Select the background image, keep in mind that the center of the image must have enough space to fit the content of your page. Banner URL: Web address to which you want to be accessed when a customer click on the background. Your customers will see a promotion immediately and without losing sight.